Employers are responding to the tight labor market by spending more money to create a better workplace experience for employees and job candidates, a new survey of 800 corporate leaders finds. “Beating the competition for talent in 2018 begins in the workplace,” says Randstad Sourceright CEO Rebecca Henderson, whose company conducted the survey. The 2018 Talent Trends Report, based on the survey, finds that 51 percent of employers plan to boost their spending on on-site benefits and “innovative technologies” this year. 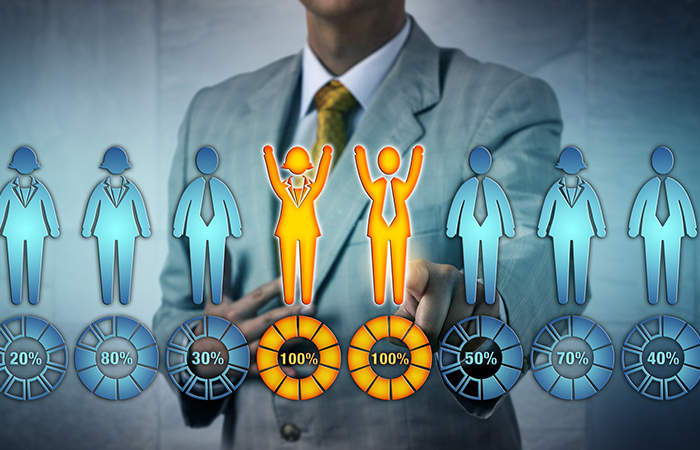 Three quarters of the respondents plan to enhance their company’s hiring processes by investing in new HR technologies and data analytics platforms, with 76 percent citing analytics platforms as key to sourcing, attracting, engaging and retaining talent this year. Companies have little choice but to invest in more technology, or make smarter use of the technology they already have, in order to compete for talent these days, says Bob Lopes, Randstad Sourceright’s president for North America. “Talent is harder to find and attract, and technology lets us find people much more quickly,” he says. But finding them isn’t enough, says Lopes. Candidates who express interest in a company need to be engaged by recruiters as soon as possible, he says. Lopes says he was surprised by the sheer importance placed on talent acquisition by corporate leaders in this year’s study. “It’s been an increasing trend, but the trend line this year was steeper than I’d thought it would be,” he says. Indeed, Randstad Sourceright’s survey was hardly alone in finding this—The Conference Board’s C-Suite Challenge 2018 report finds that attracting and retaining talent is the top concern not only for CEOs this year but the entire C-suite. “In terms of formalized mass-training programs, yes, the number of companies doing those is quite low, but we find that companies are continuing to ‘upskill’ individual employees and moving them up into new jobs as positions open up,” he says. Employers are also continuing to shift permanent positions to temporary or contactor roles, with one out of four planning to do so to address the talent shortage. Seventy six percent report that the “right person for any role” may be a contractor or contingent worker form anywhere in the world as well as a full-time employee. Ongoing financial insecurity is forcing many workers to think differently about their comp packages. National Football League teams decided not to ban players league-wide from kneeling in protest during the national anthem.